Do you want to pre-heat or stress-relieve one or more objects? Induction heating is an excellent option for both. This effective technique works on the basis of alternating current, which ensures heat is released within the object itself. Induction hobs, for example, demonstrate this process on a small scale. Smit Heat Treatment has induction machines with capacities of 35 KVA to 250 KVA available. Heat treatments can be carried out at your location or at one of our locations in Cuijk or Rotterdam. In addition to having our experts carry out inductive heat treatment, we also have induction machines available for sale or rental. Fill in our rental/sales form. 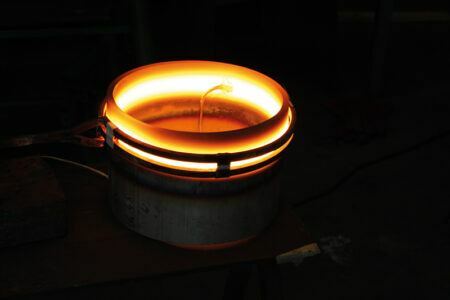 Do you want more information about induction heating and the available options? Contact Smit Heat Treatment and one of our specialists will be happy to help you.